Cardas is probably best known as a cable manufacturer and a pretty fantastic one at that; their silver solder compound is one of my absolute favourites, both easy to work with and very acoustically transparent. However, a few years ago, Cardas made the move into in-ear earphones with their EM8513. And given Cardas’ background in traditional speakers and metals, the innovation packed into this earphone surprised many listeners. However, while the EM8513 was an innovative earphone, it served more as a proof of concept with awkward ergonomics and some issues with high-frequency tuning. That’s where the A8 comes in, promising to be more portable, more comfortable and more sonically pleasing. To top it off, the A8 also comes with a drastically reduced asking price of $300 USD. 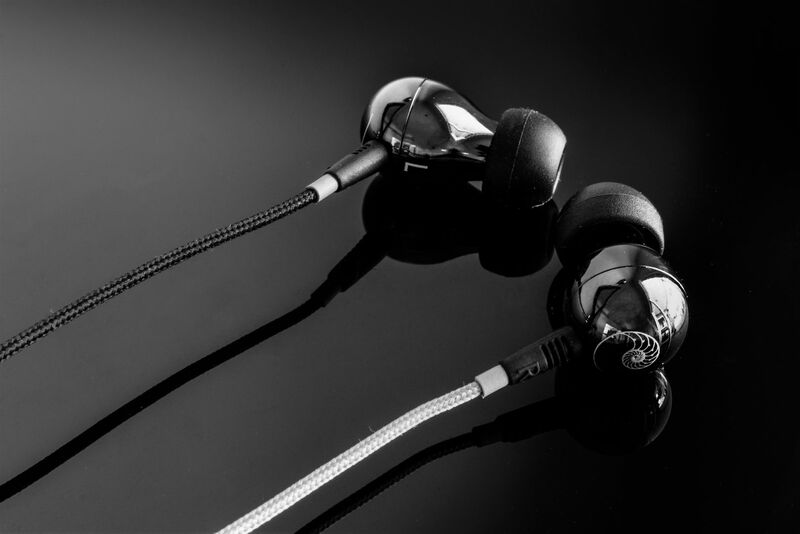 While it still isn’t a budget earphone, the A8 offers a really pleasing sense of value with super solid brass housings, one of Cardas’ signature Litz cables and an excellent sound created by a proprietary dynamic driver. Let’s see if Cardas’ combination of traditional and innovative elements can maintain enough cohesion to compete with more cutting edge hybrid driver competitors. I would like to thank Angela from Cardas very much for providing me with the A8 for the purpose of review. All words are my own and there is no monetary incentive for a positive review. Despite receiving the earphones free of cost, I will attempt to be as objective as possible in my evaluation. I was lucky enough to receive the 30th Anniversary edition A8 complete with updated packaging. My unit shipped in a clean white box with punchy renders and a tactile rubberized finish. Inside lies the earphones and carry case within a foam inlet in addition to some information cards detailing some facts about the company and the A8’s design just beneath. The earphones come with a set of medium dual flange tips preinstalled with a small and large pair within a holder for convenience. Cardas also package the A8 with a set of medium Comply foam tips though I personally had the best luck with JVC Spiral Dots. The included carry case gets special mention, it has a nice design with the signature Cardas golden ratio logo on top and a catching gold zipper. The hard case is very protective but maintains comfortable pocket-ability for travel. An internal pocket combined with that tip holder allows for easy transport of accessories. Avid writer, passionate photographer and full-time student, Ryan's audio origins and enduring interests lie within all aspects of portable audio. An ongoing desire to bring quality audio to the regular reader underpins his reviewer ethos as he seeks to bring a new perspective on the cutting edge and budget dredge alike. Not sure if you heard the LZ-A4, or anyone else with the A8, but would appreciate a sound comparison between them. I really like the bass & sub-bass on the A4 but always felt something very slightly off with the mids and highs (black bass + blue mid/high filters)…..maybe too bright/thin…. Wish the Trinity Audio PM6 had the A4 bass/sub (or A8 based on your description) as it would probably be the perfect IEM for me. Sorry, can’t comment on the A4, it looks really interesting but I wasn’t able to secure a unit to test. If you don’t mind some midrange thickness and their more polite high end, the A8 is a really nice choice and bass is certainly very visceral. Again, I can’t say whether it outclasses the A4 or vice versa and even then, it’s hard to say without knowing your exact sound preferences. Hi! Just wanna know the comparison of oriveti new primacy and this? Thanks!